A few weeks ago Shelf Reliance sent me a Cansolidator system to try out. I opened up the box as soon as I got it and started putting it together. It only took a few minutes to assemble, it was so easy. 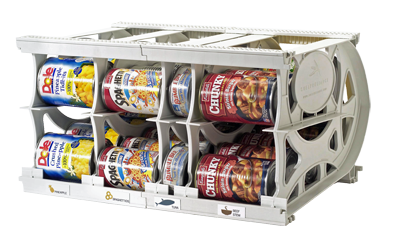 The system is a front loading can storage unit, designed to automatically rotate the cans so I don't have to worry about can rotation. Its made to adjust to most can sizes. 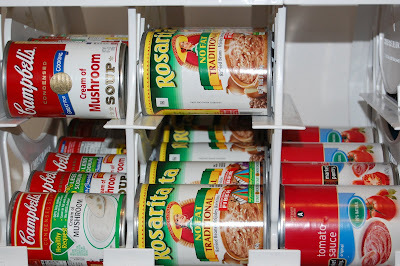 I tested out a few different kinds of canned food and it held them all perfectly. The Cansolidator is available in three different sizes and are all adjustable. Not only is the Cansolidator great for food rotation, but it is an easy way to keep your pantry and food storage neatly organized. Anything that helps me keep my house in order is good by me. Shelf Reliance is offering 5% off any Cansolidator for Whatever DeeDee Wants readers. 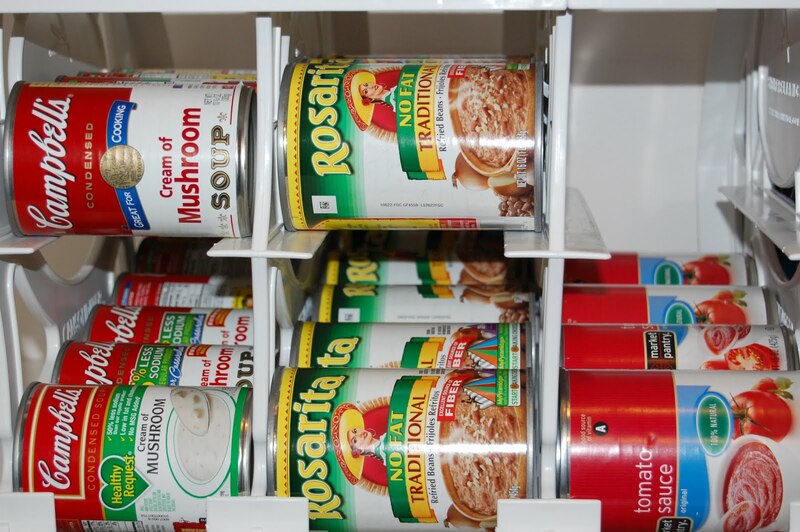 Buy your Cansolidator and get your pantry organized. Shelf Reliance is giving away one cansolidator system to one lucky winner! Wow. what a great giveaway. I would love to win! What a cool Mom Gadget! I am seriously in love with this idea!!! I would LOVE to win! I want this so bad!! My shelves are CRAZY. I think these might help! This looks great! It would really make my pantry so neat! I could use one or two of these. This is fabulous... I am so excited for the chance to win! I am in awe of all the pantry makeovers circulating around blogland right now, and can't wait until we move next month... the new home has a great corner pantry just BEGGING to be organized! I have been eying this exact can organizer... so what luck would it be to win one!?! Oooooh! I know I just won a giveaway, but I would LOVE one of these in my pantry!! Awesome giveaway. My cabinets are in despereate need of something to help keep them organized and the canned goods rotated properly! Very cool! we just moved and I need some more space!! this might work! My cabinets definitely need this. They are a so unorganized. Thanks! I Like Shelf Reliance on facebook. i have been wanting to try one of these- my pantry is out of control! This is great! My pantry could use more organization. So glad I found your blog. This would organize my messy, fall on your toes cans. I have been eyeing them for some time now. I'm a follower on GFC as frugal tumbleweed acres. I can't even begin to tell you how bad we need this. It is a pathetic mess in my cupboards. Shelf Reliance products are awesome! !